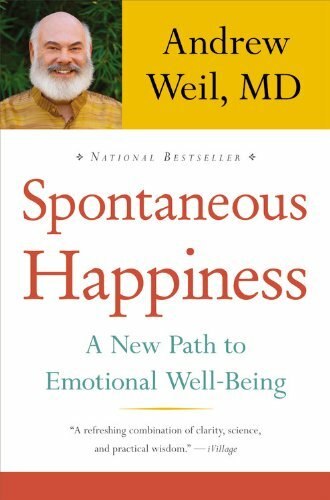 Spontaneity is described as the quality of being produced freely and naturally, without external force, cause, or influence. So many of our daily activities are planned almost to the minute. Our modern lives revolve so much around clocks, alarms, and schedules. Our agendas are filled with plans weeks and months ahead. It can be overwhelming and numbing to live in this high paced society. We must take every advantage we can to escape from our normal everyday patterns and live new and exciting experiences. Exotic Meals - Nothing can spice up life like a unique and exciting meal or restaurant. If you normally have cereal then try waffles. Get some gourmet coffee in a flavor you have never tried before. Have lunch in a restaurant you have never been to before. Drive to a nearby town and pick a new place for dinner. Try an ethnic cuisine that is new to you. Take the Long Road - Taking the same road to work every morning may be faster and economical, but it can get stressful and boring. Wake up a little earlier and take a different route to your destinations. If you live close to work then try biking it. Check out your local bus service to find a local park and ride and give it a try. Try on a New Hat - Trying on new and different clothes can really change your attitude and mood. Try on something you wouldn't normally wear, you might be surprised and like it. Go places you frequent with a wig, see how your attitude changes as a blonde or a brunette. Books - Books can really change your mood and outlook on life. If you're not a reader, check out a book from the library or buy one from a local bookstore. If you are a reader, try reading a different genre. You should also think about trying poetry, if you normally read novels. If you're into fiction, why not try a biography. Vacation - Take that vacation you've meant to take for ages. Instead of going to the beach, why not try rock climbing. How about a fun mountain biking excursion. There are many 'adventure' vacation packages out there. No matter how athletic you are, there is a customized adventures to fit your needs. Take Some Time Off - Always wanted to take a year off and travel the world? Why not go for it. Yes it could be hard on your budget, but it could give you life changing experiences that later help your career. You could find writing, photography, or volunteer jobs which could help you pay for some of your journey. Quit Your Day Job - Many of us dream of quitting the daily hustle and dedicating our time to art. Some of us also have always dreamed of owning a small business. Go for it, the time is now. The opportunities will open themselves for you, once you dedicate your time and energy on your dreams. Well, I hope I've given you some food for thought. Make a conscious effort to live life to its fullest, and your happiness and enjoyment will sky-rocket. Cool article, I like the positivism yet keeping it very real. HI: very MINDFUL article and well written. I not only applaud you but give you a rating and become a follower. Good job, excellent topic. Enjoyed the spirit behind the words. Thanks.